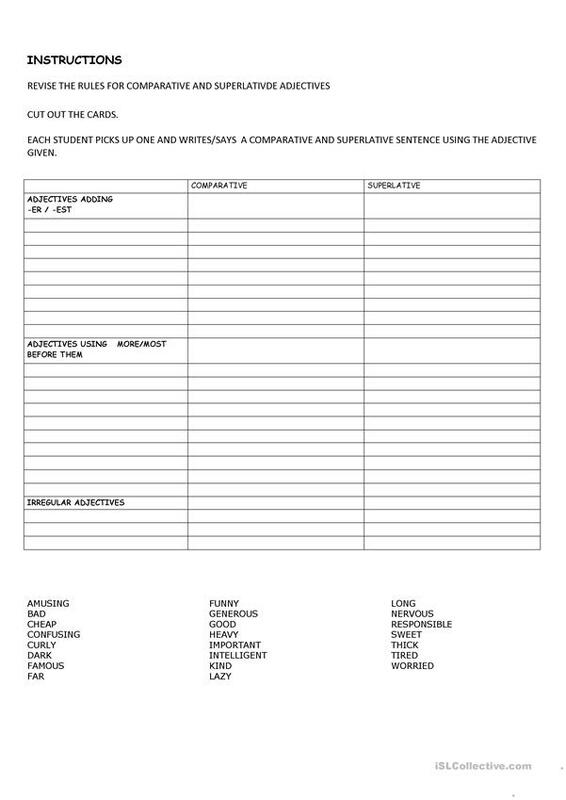 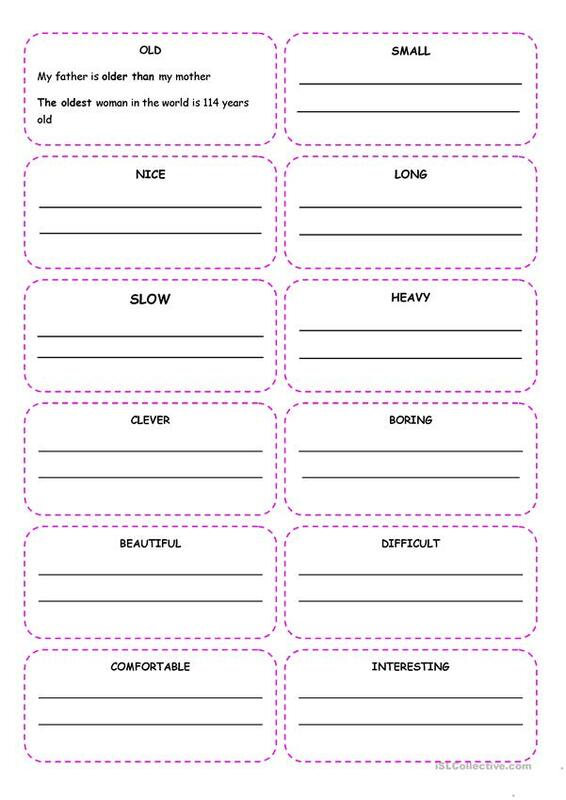 -EACH STUDENT PICKS UP ONE AND WRITES/SAYS A COMPARATIVE AND SUPERLATIVE SENTENCE USING THE ADJECTIVE GIVEN. This printable, downloadable handout is a great resource for high school students and elementary school students at Elementary (A1) and Pre-intermediate (A2) level. 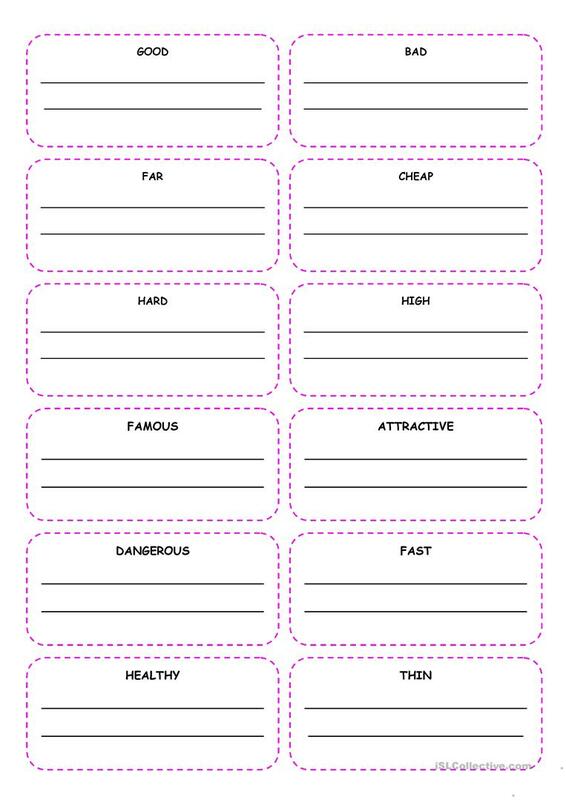 It is aimed at teaching Comparison (comparative and superlative) in English, and is useful for honing your class' Speaking and Writing skills.